Does your residential or commercial property have dangerous Radon Levels? Elite Inspection Services offers a range of property inspection services. Find out more. We'll look over your home from top to bottom, inside and out. We'll help you make an educated business decision. Here are a few things you should know about the property inspection process. Are You Nervous About Purchasing a Property? 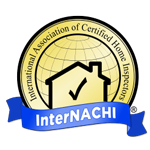 A home inspection can keep you from making a terrible investment. You don't want to find out about structural problems and pay unexpected repair costs after you close on a property. Get in touch with Elite Inspection Services LLC to find out about problems with a property before you buy it. Elite Inspection Services specializes in home, commercial property inspections, and radon testing in the Omaha, NE area. Our owner operated a real estate investment company for 20 years. With him at the helm, we have the expertise necessary to thoroughly inspect major systems and structural elements. We'll alert you to any issues so you can make an informed decision. Reach out to us today to learn more about the property you're considering. Copyright © 2019 Elite Inspection Services LLC, all rights reserved.